We have many Honeymoon options to choose from. 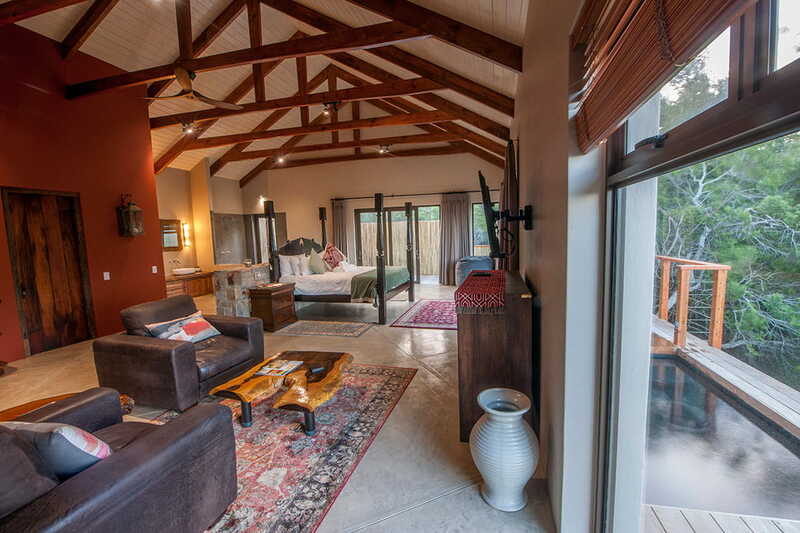 You have the choice of either the honeymoon suite in the main lodge or our two in separate buildings for absolute privacy. 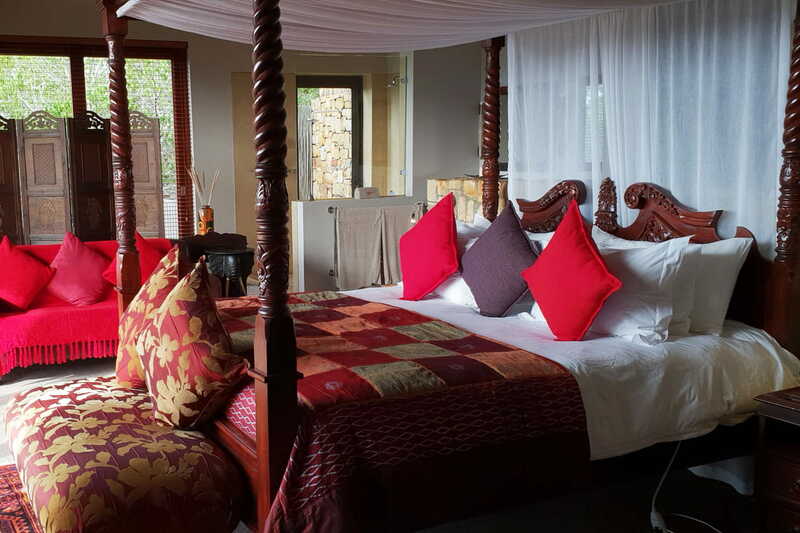 There are also two romantic Lux Honeymoon Suites to choose from. These are both in one building off a central lounge and have their own private plunge pools*. All the romantic rooms are pure luxury. There are his & hers sinks and an indoor as well as an outdoor shower – take your pick! 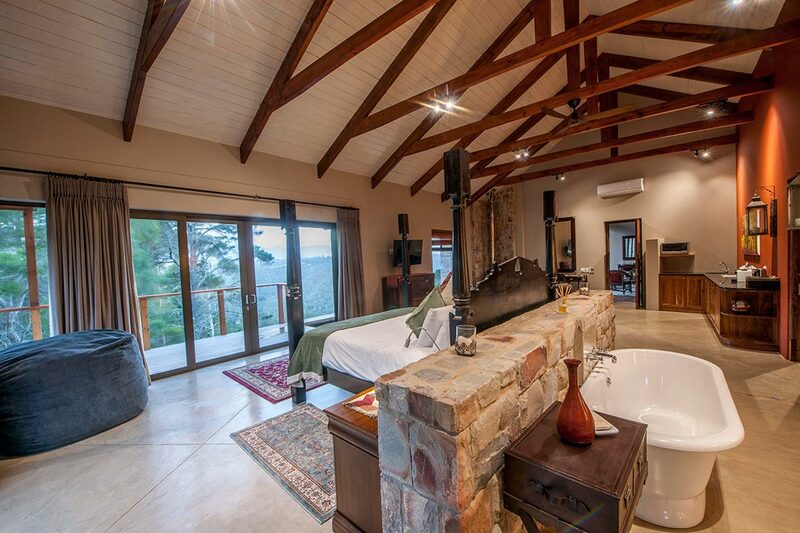 Relax with a glass of champagne in the large stone baths. 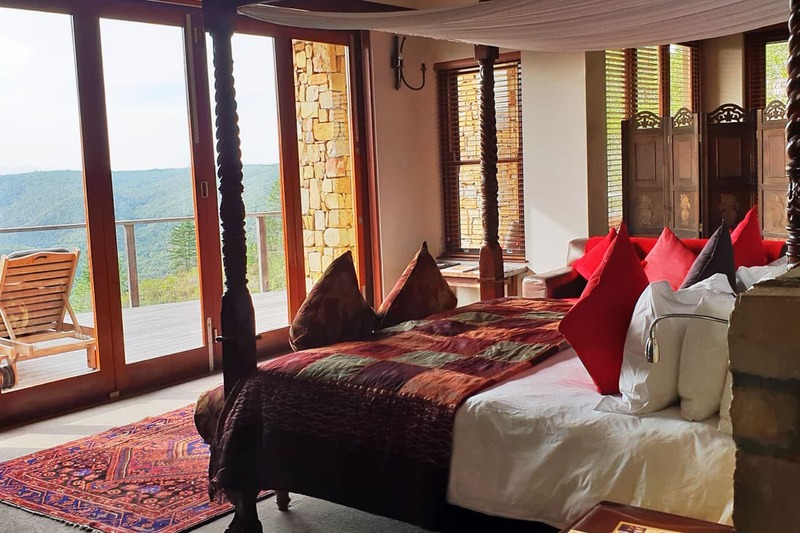 The comfortable king size bed looks onto beautiful indigenous forest views. Store all your luggage out of site in a large walk in wardrobe. A tasty breakfast will await you every morning while you decide what to do with the day. If the weather is cold you can snuggle up next to one of our huge fireplaces with a glass of wine and a good book. If the weather is warmer, a swim in the infinity pool is a must. Beautiful Keurbooms beach is also just a short drive away. Find our latest room rates here. 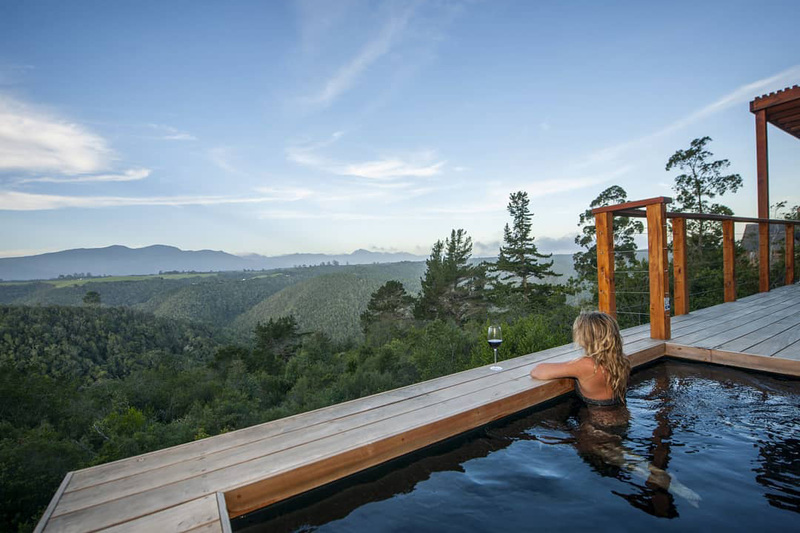 Tamodi is in the Garden Route, approximately 10 km outside of Plettenberg bay, it is perfectly situated to still feel peaceful and private, yet close enough to enjoy all that Plettenberg bay has to offer. This is a great option if you are already having your wedding somewhere along the Garden Route. We also offer the service of small intimate weddings. Get our honeymoon package for free when booking for 3 nights or more in our honeymoon suite. Our Honeymoon package includes a bottle of bubbly, bouquet of flowers, large box of chocolates and rose petals around the bath. A few of the amenities included by default with our Honeymoon suites. The Honeymoon suites in separate buildings have their own fireplaces and the LUX suites have their own private plunge pools.